A angel design candle holder that is holding a small container candle. 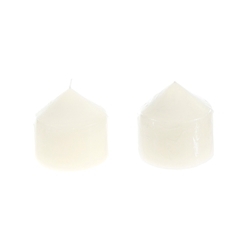 This candle holder has a matte finish and contains one small white unscented container candle. This candle holder is great for decorating and creating your own designs.